- The Lord wants you to be able to make progress and not stumble. - Often we are so afraid of falling that we don’t try to walk for fear of falling. 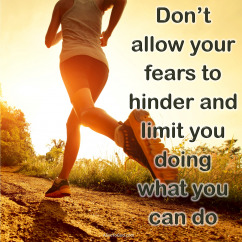 - Don’t allow your fears to hinder and limit you doing what you can do. - Step forward with confidence, knowing that He will direct and steady you. Prayer: Lord, thank You that today You are removing the hurdles and the pitfalls ahead of me. I recognize that You will direct my steps and protect me from making mistakes. Amen. - The Lord wants to come and intersect our lives with the supernatural. 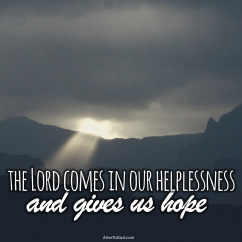 - In all likelihood angels often come and touch our lives when we face difficulty. - The Bible tells us that the angel of the Lord camps around us. 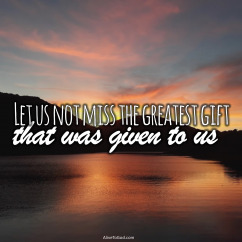 - Let’s live with expectation that the Lord will come and touch our lives in wonderful ways. Prayer: Lord, I invite You to come and touch my life. I long for a touch from heaven on my life and in my circumstances. May this become a reality in my daily walk with You. Amen. - The Lord can provide in wonderful ways even during the difficult seasons of life. - You may be facing many challenges, but in all that, He is able to provide. - He can do miracles in front of your very eyes and multiply the little you have. - Give Him what you have in your hands and He will surely multiply it. Prayer: Lord, thank You that You are interested in every detail of my life. I place my life and those things I have in my hands into Your hands. You are the miracle-working God and You will do wonderful things for me. Amen. 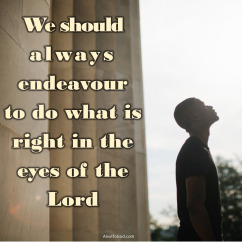 - We should always endeavor to do what is right in the eyes of the Lord. - When the Lord speaks we must believe and act on it. - Don’t be distracted by what others do or may tell you to do. 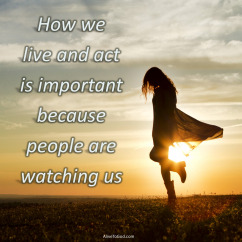 - As we obey God, we set an example for those around us to follow. Prayer: Lord, may I be one of those people who pleases You and does what is right in Your sight. May my life be an example of obedience and of purposefully doing what You tell me to do! Amen.